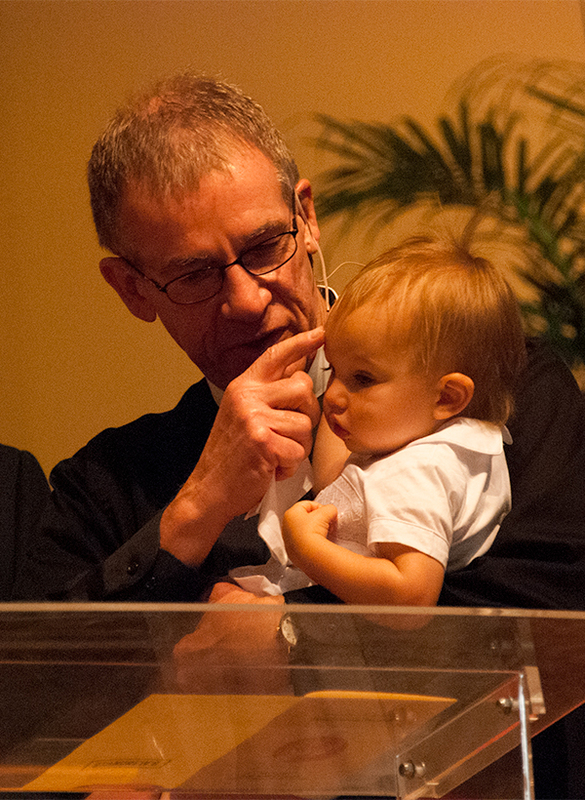 At St. Andrew’s we want you and your family to fully enjoy the privilege of Christian Baptism. Therefore, some explanations are offered here. Baptism is the sign of belief in Jesus. Baptism symbolizes burial and resurrection, and thus is the mark of a believer’s identification with Jesus Christ. Logically, baptism ought to follow belief which is the case with adult baptism. But, coming out of the Jewish tradition of circumcision, Christian parents include their children in the external expressions of faith. Scripture encourages parents that if they “train up a child in the way he should go, when he is old he will not depart from it.” (Proverbs 22.6) And thus, for centuries parents have had their children baptized in the confidence that God will bring these same children into a mature, vibrant Christian faith. At least one of the parents needs to be a member of St. Andrew’s to have their child baptized here. If parents grew up in St. Andrew’s, or are otherwise related to St. Andrew’s but now live elsewhere and desire to have their child baptized here, we encourage them to reconsider having their child baptized in the church they are currently attending. If, however, for family or other reasons, they still prefer to come back to this parish for the baptism, we ask that their current minister send to us a letter giving consent. Godparents, or sponsors, stand with the parents and join them in promising to do all in their power to insure the Christian nurture of a child presented for baptism. In the event of such tragedy that the parents could not fulfill their promise, the responsibility falls to the Godparents. Godparents may be of any denomination, but must be believing, practicing, participating, and baptized members of some part of Christ’s church, willing to carry out the promises made in the service. We would prefer practicing and presently participating members of other churches to nominal or indifferent Christians. In our baptismal service the whole congregation joins the parents and Godparents in making the promises on behalf of the child. This underscores the importance of sharing such an event with the “Family of the Church” rather than having it a private affair. We set aside the first weekend of the month for baptisms, though there are occasionally exceptions. The service choices currently are the Sunday, 9 am. service in the Ministry Center, the Sunday, 9 am service in the Historic Church, or the Sunday 10:45 am traditional service in the Historic Church. Adults who desire to be baptized may be baptized on Sunday mornings as well. In addition to performing baptisms as part of our worship services, we also offer baptism by immersion for all ages in the ocean during the warmer months. Contact the Rector’s Personal Assistant for these additional dates. Adults who are becoming members and have not yet been baptized may also be baptized during our New Members’ Service. Usually a 30 minute meeting is scheduled with the Rev’d John Burley in preparation for a baptism. To schedule a baptism, please contact Nancy Sapakoff, the Rector’s Personal Assistant (NSapakoff@StAndrews.Church or call 843.284.4324). As part of the process, you will need to fill out a Baptism Application.